09:49 | Lima, Feb. 11. 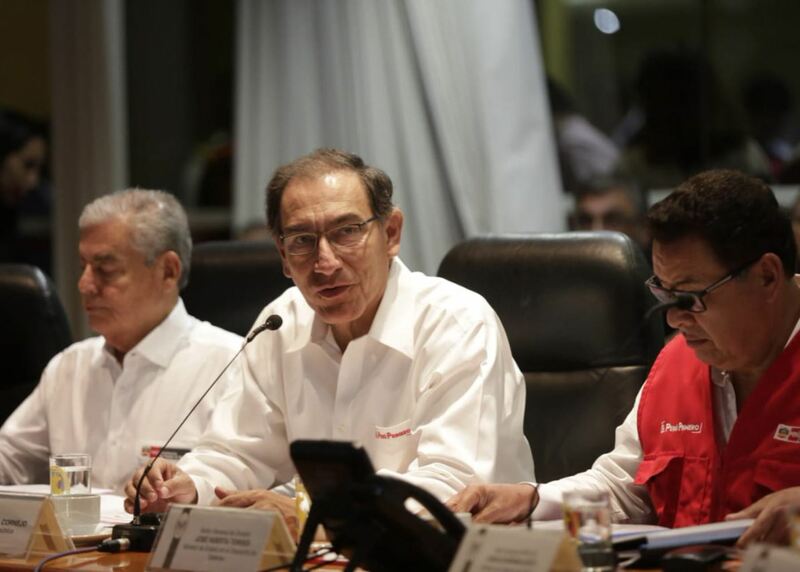 Peruvian President Martin Vizcarra presides over a National Disaster Risk Management Council (Conagerd) meeting to assess the current situation in rain-affected areas across the country. The gathering is intended to follow up on the actions taken to address the emergencies. It must be noted Conagerd is composed of all State ministers and representatives of scientific entities under the National Disaster Risk Management System. The meeting takes place at the National Emergency Operations Center (COEN), attached to the Ministry of Defense, in Lima's Jesus Maria district. On Sunday, the Commander-in-Chief inspected the assistance and assessment in rain-affected areas across Moquegua region. Mr. Vizcarra expressed his commitment to regional authorities regarding the budget for restoration works. He also called on Peruvians to stand united in order to overcome the emergencies caused by heavy rains.